Hello again! 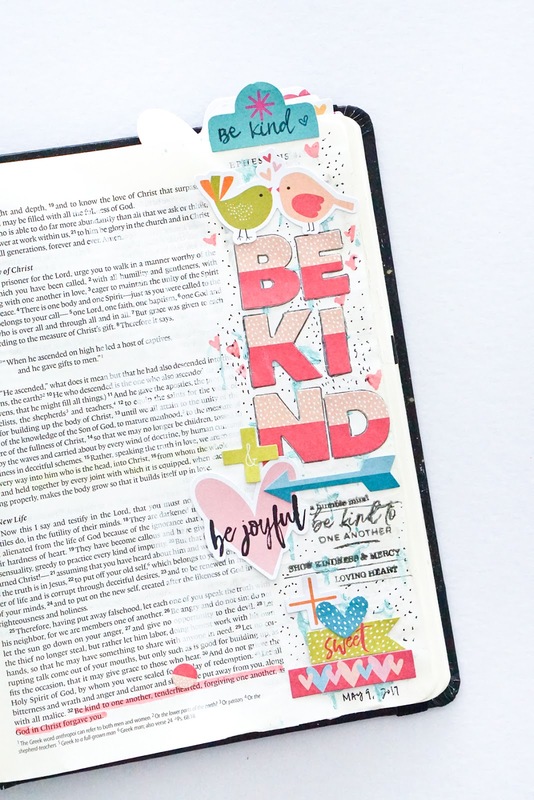 Have you seen the May GraceBox kit this month? If you haven't, you should check it out at the CTK online shop. It is filled with amazing products. 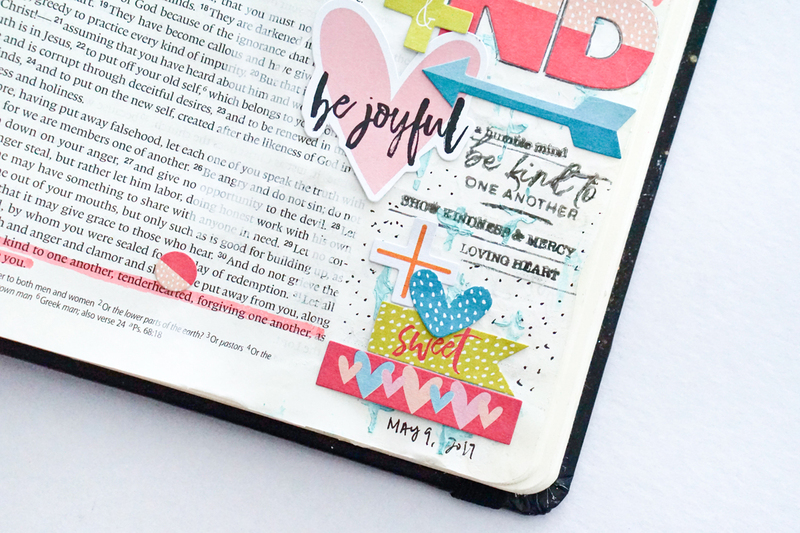 I really so happy to see the 12"x12" stickers for this month and immediately knew that I have to use them on my page. Well, I had to include the rest of the products like the clear stamps and die-cuts too. First, I prime my page with some gesso. Simply because the back of this page got stained. After that is dried, I used the Nuvo paint along with the cross stencil to create my background. I love how subtle it looked. 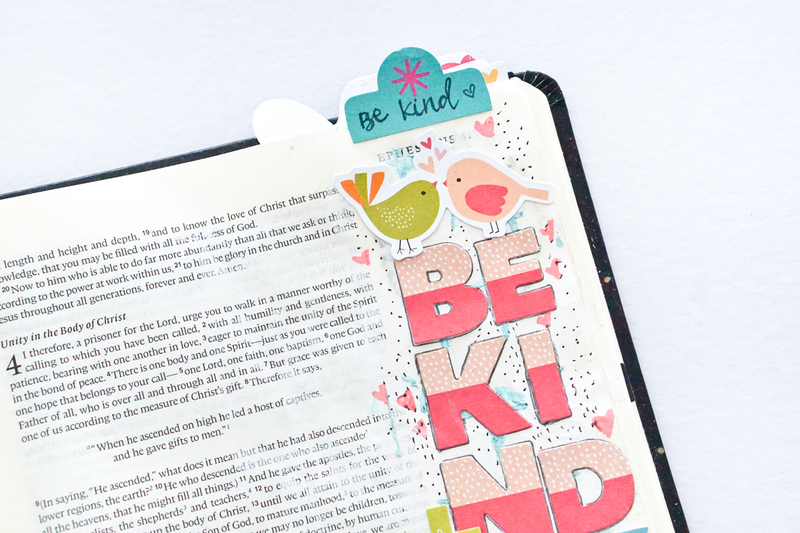 Next, I adhered the alpha stickers and formed the word "Be Kind". I continued to fill up the gaps with die-cuts and more stickers. I also left some space for stamping. And completed the page with little black dots that I created with my journaling pen.